This lovely apartment for six people is located in the fantastic area of Eixample, a beautifully area, packed full of great architectural sights, fantastic restaurants, and plenty of things to see and do. The awe-inspiring Sagrada Familia church as well as the shopping center "Glories" are within walking distance from the apartment. 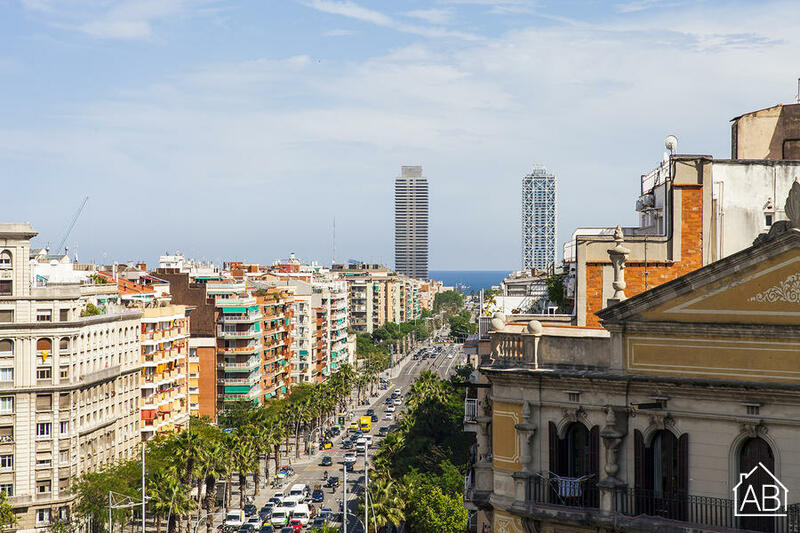 Thanks to a convenient metro station just outside the building, you can reach many other tourist attractions of Barcelona easily. The style of the apartment is modern and it has 6 single beds, which are distributed throughout three bedrooms, allowing six people to sleep here comfortably. It also has a fully equipped kitchen and all utensils you need to create a home cooked meal. The living room comes with a TV and a large sofa, perfect for an evening of relaxation after a long day full of sightseeing. There is also an Internet connection available in the apartment, making it easy for you to stay in contact with friends and family back home. The apartment is equipped with air-conditioning, heaters, and a washing machine, making it perfect for families, too. Due to a perfect location, a metro station within walking distance and great facilities, this apartment is the ideal option for your stay in Barcelona!